A lot of people wonder how they might be able to use online tools and courses for MSHA Part 46 training. Or, they wonder if they CAN use online learning as one part within their Part 46 training. In short, they wonder about online MSHA part 46 training compliance. Those are questions we’re going to answer in this article. Even better, we’re going to provide a free downloadable guide at the end of this article that you goes into a ton of detail about how you can use online training as part of your MSHA Part 46 solution. If you’re not familiar with MSHA Part 46, or if you need a refresher, here’s a helpful What is MSHA Part 46? article. Otherwise, continue on to learn more about online MSHA Part 46 training. And don’t forget about the free guide to online MSHA training at the bottom of this article. Convergence Training are MSHA & mining safety training experts. Explore the links below to learn more about what we do. The free guide is at the bottom of this article; we’ve got some quick additional information for you between here and there. 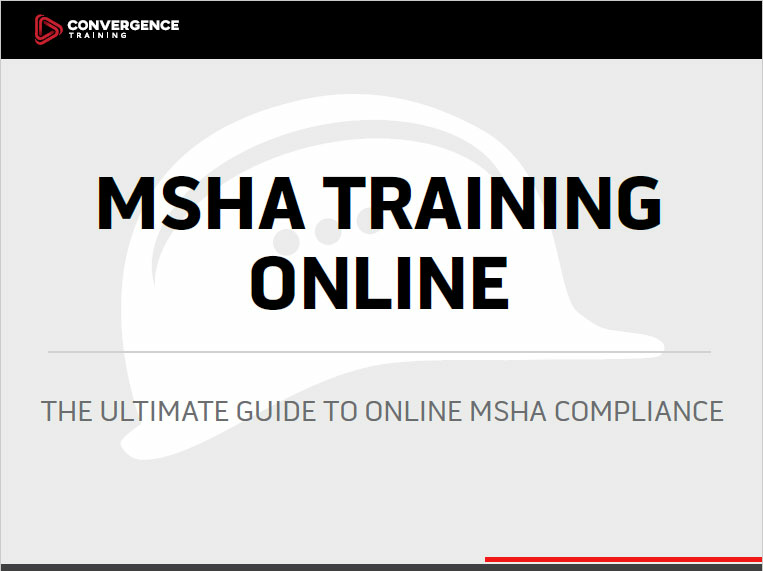 Does MSHA Allow Mine Operators to Provide Part 46 Training Online? An LMS is an online software application that allows you to assign training to your workers, deliver some of it online, determine if your workers have completed it, give them credit for completing the training, run reports, and create documentation required by MSHA. This short overview video that explains how an LMS can help you with MSHA Part 46 training compliance–including all training, such as online, classroom, field-based, mine site tours, safety meetings, and more. A learning management system can really simplify a lot of the time-consuming and frustrating clerical, organizational, and scheduling tasks that you are probably managing by hand (and Excel spreadsheets, and paper-based training records stored in manila envelopes, etc.). If you’re struggling with the time, organization, and clerical tasks associated with Part 46 training, and the expenses that come with them, then an LMS can really be your friend. For more about LMSs, read this What is an LMS? article or check out an LMS made for MSHA compliance. eLearning courses are what people often think of when they think of online learning. They are the actual courses on actual workforce training topics. An e-Learning course is not the same as an LMS, but you can import eLearning courses into an LMS and then use the LMS to assign and deliver the courses to your workers. An good analogy is that an LMS and e-learning courses are similar to video game players (like X-Box or PlayStation or Wii) and the games you buy to play with the players. The video game player is like an LMS; the video games are like the e-learning courses. For some examples, check out this collection of e-learning courses for MSHA safety training compliance. You might also want to check our “general” health and safety training library course titles as well. This course is about the physical characteristics of surface mines. You could have your miners view this course as PART of your “introduction to the mining environment” training required by New Miner and Newly Hired Experienced Miner. Then you could follow that up with some site-specific training about your site and, of course, a mine tour. We hope that information was a good start for you and encourage you to download the free guide below to learn a lot more. For more specific information about using an LMS and eLearning courses for your online mining safety training and MSHA compliance needs, including the ability to administer “real-world” training such as classroom training and field-based training, download the free guide below. 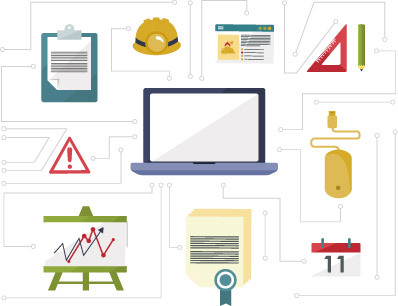 Download our free guide to learn how online tools can help you create safer work conditions at a mine site, stay compliant with MSHA Part 46 regulations, and manage your training program more efficiently.